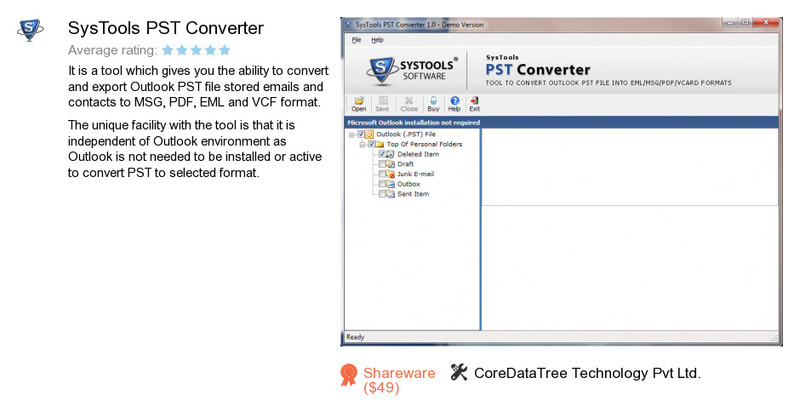 SysTools PST Converter is a software program developed by CoreDataTree Technology Pvt Ltd.. We know of versions 2.0, 1.0. Version 2.0 is downloadable at our site. SysTools PST Converter distributive has a size of 19,016,346 bytes.